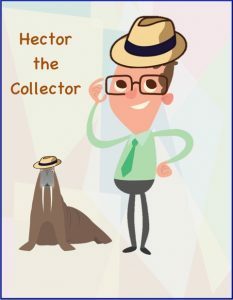 When You're Pressured to Approve the Last Minute Month End Order - Credit Mediators Inc.
It’s Hector the Collector and like myself, I’m sure you’ve been having a very hectic winter season. Last month was particularly busy with our sales team doing a great job getting so many new customers. All of this new business has certainly given us a very encouraging outlook for the rest of the year. But something happened last month that I’d like to share with you. On the last day, just as I was closing everything down to go home, our sales manager came running up and asked me to approve a relatively large order on a new customer. His hope was to not only greatly exceed their department’s monthly sales goal, but to be able to rush the order “approved” back to the customer. Within a nanosecond I was trying to get my bearings on how I was going to review this order. Talk about pressure! Fortunately, the sales manager brought the order in with supporting documentation, which included the new customer application, the trade credit references, and an on-line credit report. Not wanting to disappoint him, I dived into reviewing the documentation and soon noticed that the last name on one of the trade credit references was the same as the last name as the CFO who filled out the new customer credit application. When I pointed out the similarity to our sales manager, he also cocked his head to the side and thought it was peculiar. Since the credit amount required was substantial, and one of the trade credit references provided appeared not to be an objective arms length recommendation, I expressed that it would be prudent to wait on approving the order until we get more clarification. With a heavy sigh, our sales manager agreed and actually thanked me for catching that same name “peculiarity.” Although we’re both on the same team to make our sales as large as possible in any given month, we also realized that rushing through an approval to meet sales goals and customer satisfaction, especially when certain items are not looking quite right, might turn into an uncollectible account in the near future.